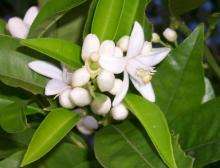 (PhysOrg.com) -- Scientists from the UK, US and elsewhere have been carrying out a comprehensive assessment of flowering plants and adjusting the estimate of their total number. The new estimate is that there are about 400,000 flowering plant species, with over 600,000 to be deleted from the list as duplicate names. Botanists around the world have been collecting, naming, and classifying plants for centuries, and as a result many plants have inadvertently been named several times, giving rise to a list of over one million flowering plant species. Some plants were given different names because of slight differences when grown in different climates, while others were named by scientists unaware the plant had already been described and named. Scientists have known for a long time that the databases contained many duplicates, but until now no one has been certain of how many because the information has been contained in several databases around the world. Now, for the first time, a single working list of all flowering plant species has been created, and it has been made possible by an automated rule-based system. The three-year-long project to create "The Plant List" was the result of a request from the Convention on Biological Diversity at their 2002 meeting. The major concern was that without this work being done it would be impossible to be sure how many plant species were endangered or how successful were conservation efforts. Assistant Keeper Alan Paton of the Royal Botanic Gardens herbarium at Kew in London, which was a leading contributor to the project, explained that the work is also important for people dealing with economically important plants. He said many plants had two or three names, but the economically useful plants, such as food plants, often had many more names because they tend to be more widely used. The duplication meant that researchers would miss a great deal of information on a plant if they were only looking for one name. Working with other groups, such as the Missouri Botanical Garden in St. Louis in the US, botanists have searched the various plant databases and attempted to reach a consensus on an accepted name for each plant, which is then listed along with all known variations. Where there were conflicts they preferred global sources to local, and later sources to earlier. So far in the current draft, there are 301,000 accepted species with 480,000 alternative names, but there are some 240,000 left to be assessed. Paton said he believed the true number of known plant species will be just over 400,000. The final listing should be available by the end of this year, but the current draft has already been used to help choose the species to be included in the Red List Index for Plants, which is a list of plants threatened with extinction. It is understandable, but very surprising to a layman, that biologists did not know how many flowering plant species there are. Researchers have a long way to go. This should give pause to those who hear drastic recommendations for change or expensive new solutions to reported problems. Maybe we just do not really have a handle on some issues or some fields of study. My understanding was that there were over 10,000 species of orchids. I am kind of shocked that the total number of flowering plant species is so low. The problem is in identifying unique species. True, there are very many varieties of orchids, but they tend to be very plastic when it comes to hybridization (that is, two species can have a hybrid that is able to reproduce). There's a general trend in taxonomy now to cut down on the number of species, although all this does is leave high numbers of subspecies, cultivars, hybrids, etc. I'm willing to bet that a large portion of those 600,000 are morphologically distinct plants, that simply failed to pass the degree of genetic or whatever other difference the researchers used.